Is Blurry Vision Making Life Difficult? You May be Suffering from Presbyopia. You need eyeglasses or contact lenses to read this? If this is the case, you may be suffering from a condition known as Presbyopia. As you get older, your eye’s natural crystalline lens grows large and becomes hard, resulting in blurry vision and the inability to focus or see things that are close-up clearly. This is what’s known as Presbyopia, which can eventually degenerate into cataracts. But there is a solution! Contact us or click here to set up an appointment. 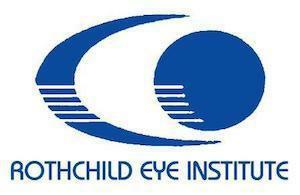 The Rothchild Eye Institute in Delray Beach and Boca Raton, Florida now offers Crystalens, the first FDA-approved accommodating IOLs – adjustable artificial lenses, which could eventually render cataract surgery and glasses a thing of the past with a more permanent solution to restoring vision. Unlike currently available IOLs, Crystalens operates like the eye’s natural lens, enabling most users to see images inside 16 inches and further without eyewear. Besides eliminating cataract surgery that usually still requires patients to wear reading glasses, Crystalens’s innovative design is equipped with a hinge that permits the optic nerve to move as your eyes constantly change focus, whereas previously available IOLs did not move or adjust to focus. Crystalens’s patented mobility can make the option of surgery a thing of the past. Besides improving your eyesight and helping cure blurry vision, Crystalens may allow you to cast off those eyeglasses, the inevitable trappings of aging, allowing you to feel younger and confident so you can focus on the important things in life and look forward to a brighter future. We at Rothschild Eye Institute will assess your overall condition and determine the safest and most effective way to restoring your eyesight. Clinical tests have proven, for instance, that 100% of patients could see 24” to 30”, the distance for most of life’s daily activities, without your glasses! For more information on Crystalens or to gain additional insight to this revolutionary procedure, contact us or click here to set up an appointment and realize that you, too, can see young…and be young.